Left to right is Adam Vigue general manager of Sodexo; Maeve McInnis, the Maine Course Director for Sodexo; Manager Kyle Foley of the GMRI Sustainable Seafood Program; and Doug Winslow, executive chef. 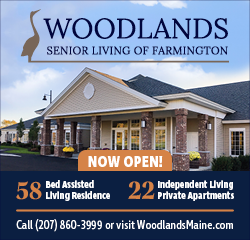 FARMINGTON - White fish served at University of Maine at Farmington dining facilities are exclusively sourced from the state of Maine, resulting in the program being recognized by the Gulf of Maine Research Institute. 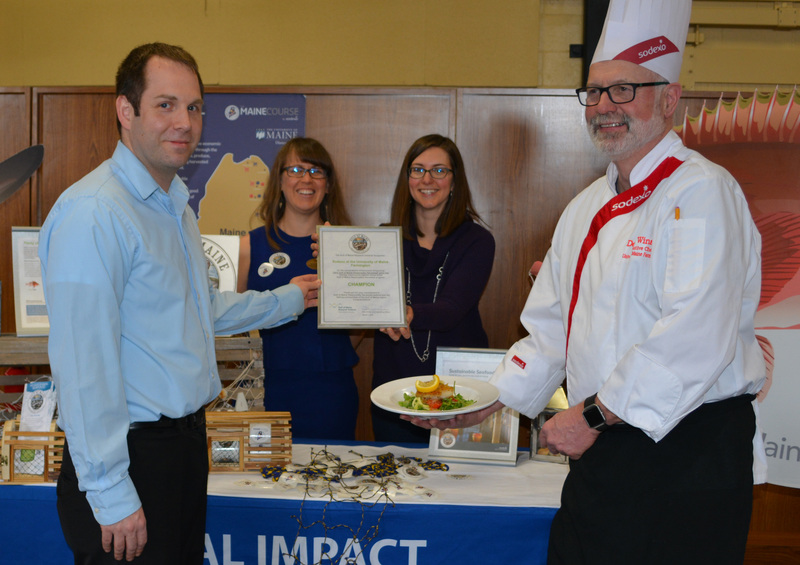 UMF and the University of Maine at Machias were recognized recently after Sodexo, the company that manages their food service operation, joined the GMRI's Gulf of Maine Responsibly Harvested program in 2016. The program's ecolabel identifies seafood that is traceable back to the Gulf of Maine region and species that meet important criteria around responsible harvest. Sodexo joined the GMRI program as part the Maine Course, its commitment to make a positive impact in the state of Maine through the purchase of local products, produce, services and responsibly harvested underutilized seafood. In 2015, almost no locally-sourced white fish was served at Sodexo dining facilities. The company set a goal of serving Maine white fish at all of its university locations across the state by 2020, shifting from imports to purchasing fish like Atlantic pollock and Acadian redfish from the Gulf of Maine region. UMF and UMM hit that goal nearly a year early. Doug Winslow, executive chef at UMF, said that they’ve also seen more success in serving seafood in general. "Two years ago, if you had told me we’d be going through 40 pounds of hake at lunch, I would never have believed you," Winslow said. "But the impact has been real – we have changed, and we hope that our efforts have helped to change the larger marketplace, too." By sourcing less well-known species, it is hoped that shifts such as these will drive demand for a broader range of abundant, responsibly harvested species from the Gulf of Maine. This, in turn, gives fishermen more options and helps to build stronger economies in the region’s coastal communities.